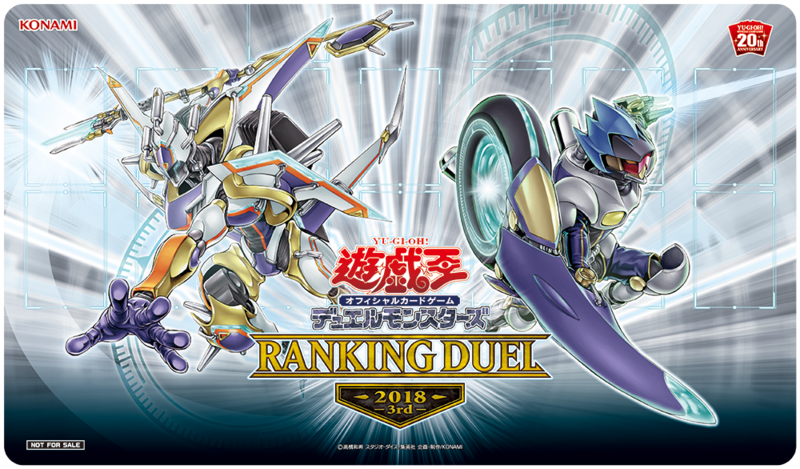 In all seriousness, this Rubber Playmat will be handed out to the 1000 top ranking players of the season for Japan’s October to December 2018 Season, as well as the top 1000 Players of the various regions behind that, resulting in 2000 Players getting these mats. I'm thinking support effects like Needlefiber's and/or pseudo-Miracle Fusion effects, but for Synchro Summoning of course, may do the trick. We had Demise & Ruin in CYHO as the Ritual legacy support. Thunder Dragons became an archetype in SOFU for Fusion legacy support. I predict that the new T.G.s are in SAST as legacy Synchro support. A month from yesterday, actually. Konami has been getting worse and worse about releasing any info on their new sets. We only know of 4 cards, and of those, only 1 has been revealed in its entirety. That is true, especially with the last few weeks they had been prioritising extra pack stuff than revealing stuff from Savage Strike. Could also be for Duelist Legend 4?